This guide is for new players on how to better prepare themselves for multiplayer. So we'll be taking a look at things we need to do before you jump into casual / ranked match. 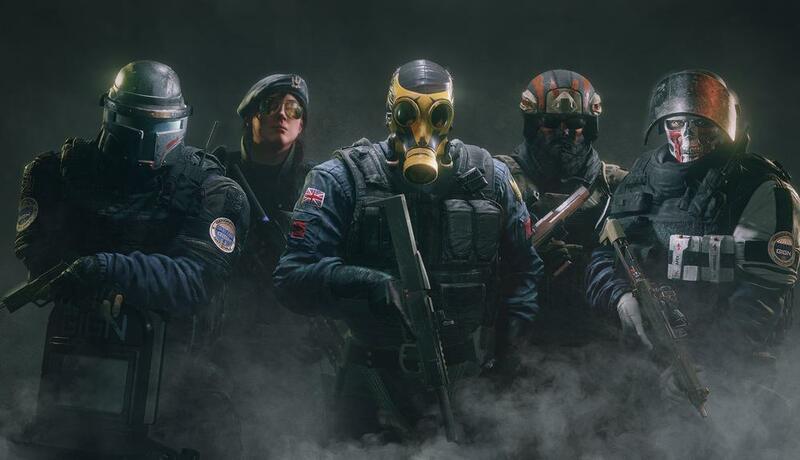 We'll discuss how to get the max starting renown quickly and which operators to unlock. Quite a few players do not know this but there is a tutorial section under the "play" options at the very bottom. Now there are a total of 10 situations and one extra situation called "article 5". Each situation has 3 challenges. 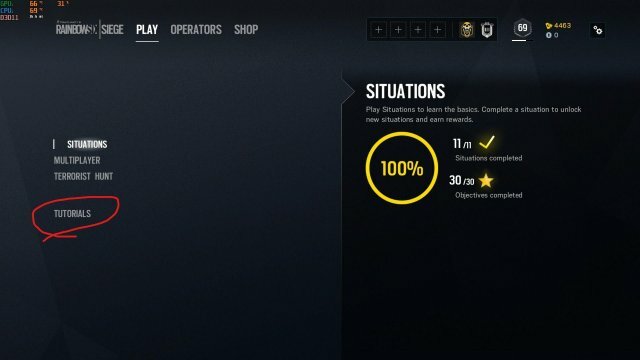 Each challenge gives you 200 renown. So if you do a situation and complete all 3 challenges. You will get 600 renown plus extra for completing the situation. Seeing there's 10 situations and 3 challenges each you will get a total of 6000 renown for completing all the situations . Do keep in mind you will NOT get extra renown for completing challenges in higher difficulties so you can do them in normal difficulty if you wish. Also normal difficulty still does punish the player if he/she is not careful as 4 well placed shot by the enemy can kill you and you have no way of recovering your lost health. Forcing new players to learn how to minimise exposure by leaning and drone out for enemies before engaging. On another note. In situations you will play the following operators in order : Ash (Tubular assault), Glaz (Cold Zero), Smoke (Asset Protection), IQ (Neutralize Cell), Thermite (No Intel), Kapkan (Improvise Defense) and Tacher (Heavily Fortified). 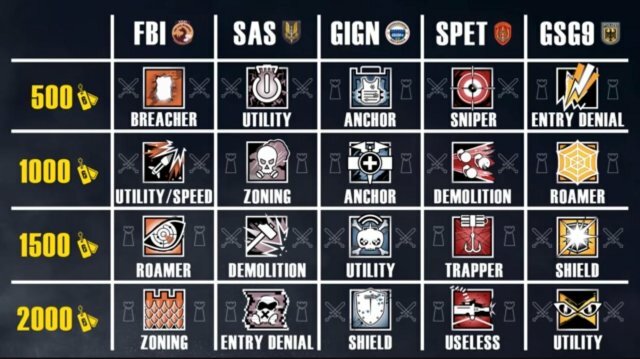 The challenges teach you how to use there gadgets and some of these operators are a must pick on ranked. Especially tacher and Thermite. 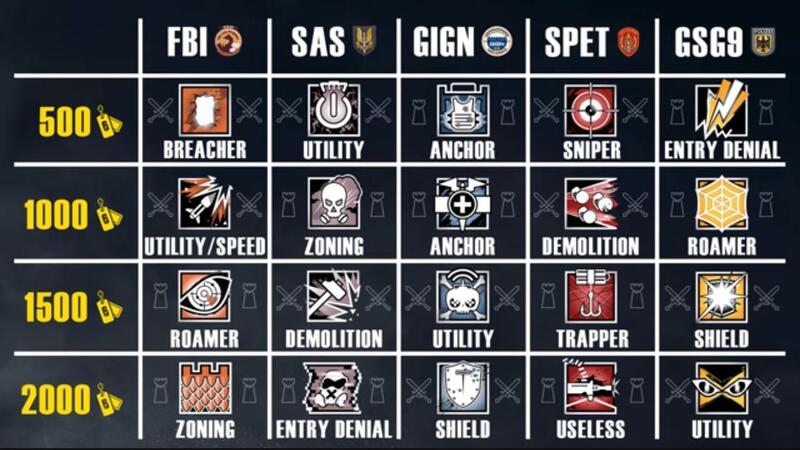 Before unlcoking any DLC operators please unlock all the basic operators. These operators have argubally the most team oriented gadgets and it is important for you to know how each of them work. 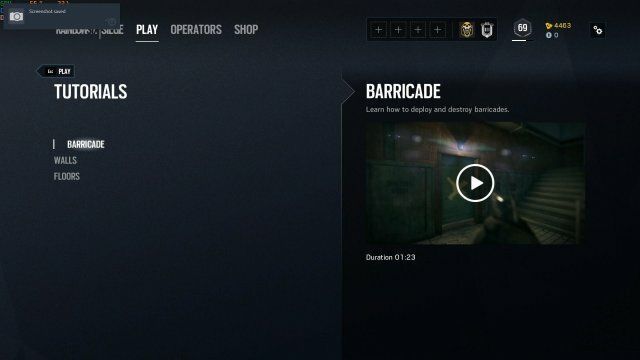 The only way for you to take out an enemy operator effectively is to play that operator so you know how that operator functions. What's more unlocking all the basic 20 operators cost you a total of 25 000 renown .... meanwhile a single dlc operator costs you 25 000 renown. It's important to unlock you operators evenly. As in after you unlock an Attacker for say SAS faction unlock a defender from another faction. Here's a picture to show you the difference. Remember after you unlock your first operator in a faction. 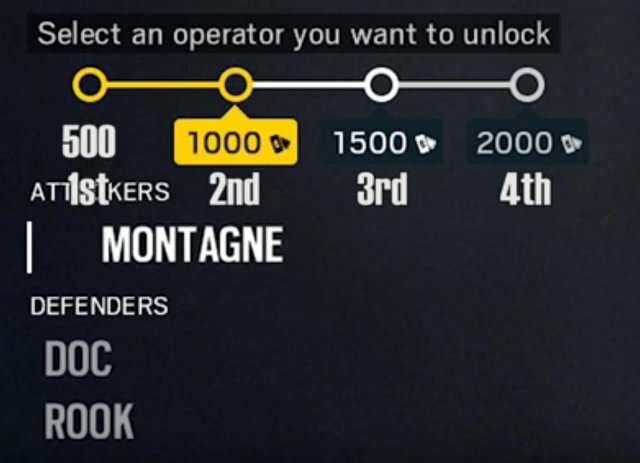 The second operator will cost 1000 renown. 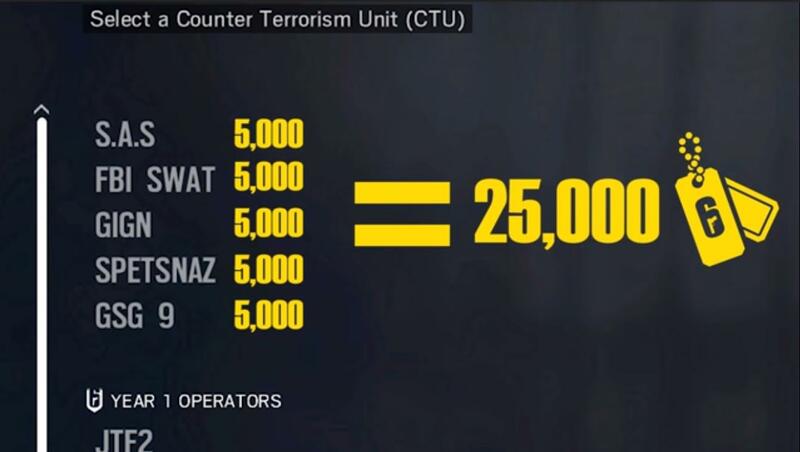 Third will cost 1500 renown and the last operator will cost 2000 renown. So to unlock the whole faction you need a grand total of 5000 renown. Here's a picture to more or less show you how to progress on unlocking your characters (from left to right). So let's see. 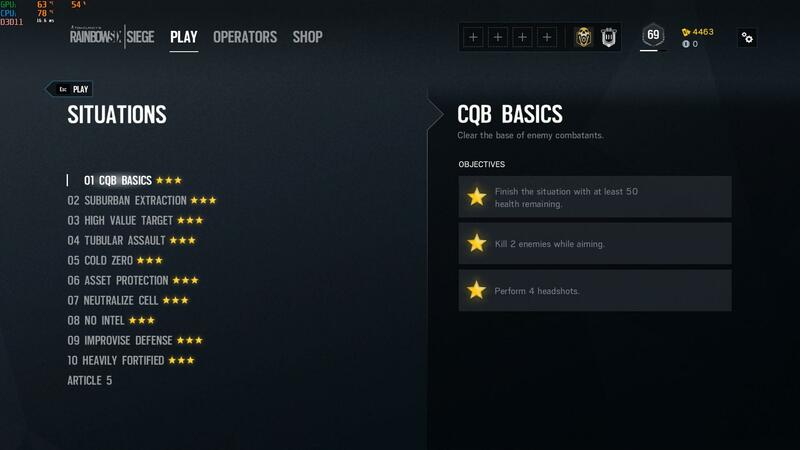 You have done ALL the situations and watched ALL the tutorial videos meaning you will have a total of 6600 renown at least. 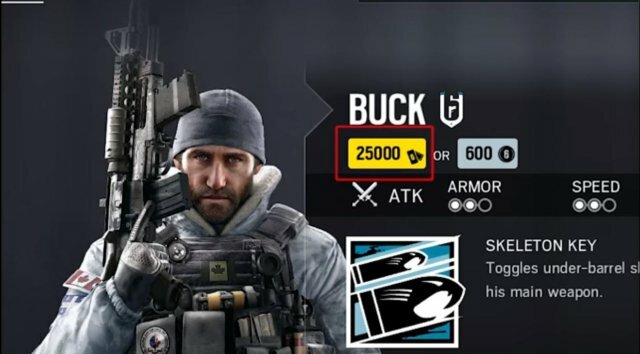 With this you'll be able to buy the first 5 operators as shown. Now after you buy the first 5 use your remaining renown to buy attachements for those operators. Experiment around and see what works best for you. After buying the first 5 and depending on how much renown you have left over keep on progressing. 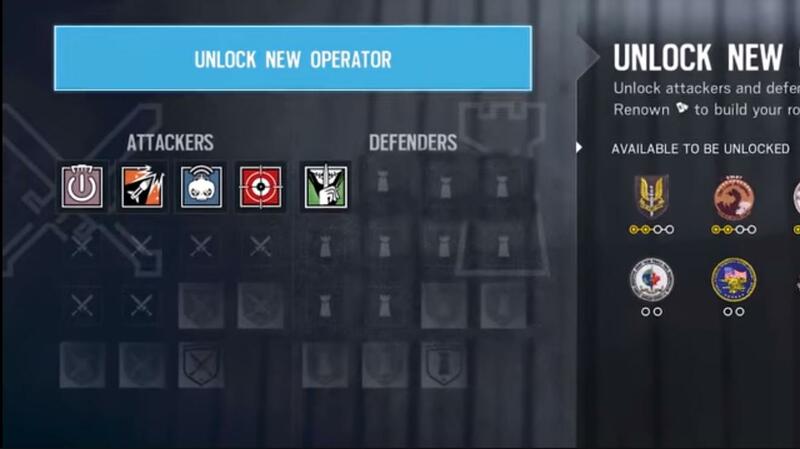 Also make sure you have at least 370 renown left over after you unlock an operator to spend it on attachements. Oh and please do NOT spend your hard earned renown on any cosmetics until you're fully kitted out on your operators. Even if you don't like that operator keep some attachements on him/her just in case your team needs that specific operator. 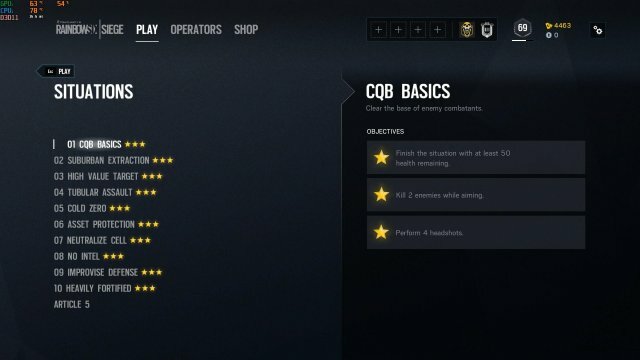 Especially on ranked, certain maps demand certain operators. I made this guide for those who like to read instead of watching a video but if you do like to watch the video then I highly recommend you watch.